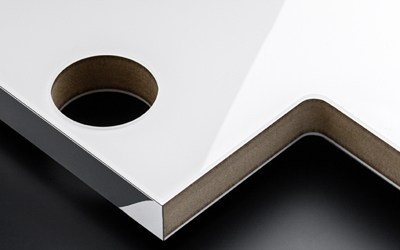 With its unique brilliance and depth, Kristall by Niemann sets a new quality bench mark for high gloss surfaces. 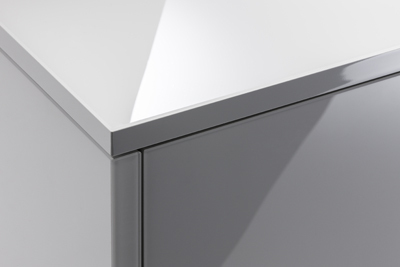 Light reflecting on the Kristall surface underlines it its own distinctive personality. 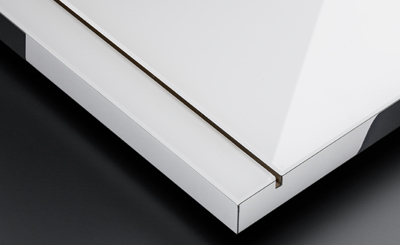 Whether supplied as a cut and edged panel or with Kristall laid onto the surface emulating glass – this materials high shatter and scratch resistance makes it suitable for furniture, project work, shop fitting as well as for further individual processing to the highest of standards. The precisely calculated construction of this panel ensures its stability.